We are pleased to announce that Kyabgon Phakchok Rinpoche will be leading a pilgrimage to the major sacred sites of Guru Rinpoche in Nepal and Sikkim, from 13 to 23 April this year. In total, we will be visiting ten sites, plus an optional trip to Maratika Caves. 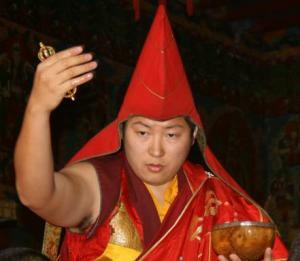 In each location, Rinpoche will be leading a tsok offering (or feast offering) associated with the Trinley Nyingpo (Guru’s Heart Practice, Dispeller of All Obstacles) from the Treasures of Chokgyur Lingpa. Pilgrimage is a wonderful opportunity to connect our life and practice with the blessings of great enlightened ones who have consecrated these places. By visiting these sacred locations with the right frame of mind we can gather the two accumulations and remove our obscurations as taught by the Buddha. 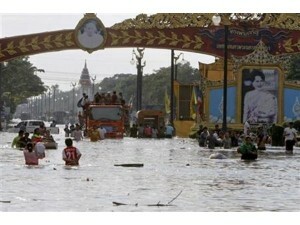 Rinpoche and ourselves have been keeping ourselves updated regarding the situation in Thaliand via the BBC News. 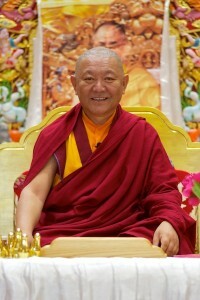 Rinpoche reassures the Thai sangha that you are all in Rinpoche’s prayers and aspirations always. 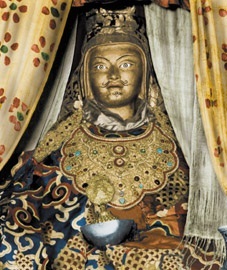 Rinpoche advises all of you to make fervent supplications to Guru Rinpoche, and to have very strong faith in Guru Rinpoche during these difficult times. The Dharma talk will be conducted at Sala-dhamma house which is in Pathum Thani province, past Thammasart University (rungsit campus). Take expressway towards Chang wattana side, do not get down at Chang wattana but go straight further and pay the toll again, go on for some distance until you see “Chiang-rak” exit. At the “Chiang-rak” exit follow the left-curve. Immediately right after the left curve, keep right and change to right lane to get on the bridge/fly-over. Go very slow when coming down from the bridge and keep left. When you see King’s picture in the middle of the road then immediately take left turn. Go till end of the road, at end of the road it’s a 3-way intersection, turn right until you see a sign “Saladhamma” on the left side, turn into that small soi with the sign, just before the entrance of a housing project. I don’t remember if the sign has English language or it would be ศาลาธรรม in Thai. This February 2011 well known Tibetan meditation master, Abbot, professor and writer Ringu Tulku Rinpoche will be teaching at various venues around Thailand. Be sure not to miss this eminent teacher who is well known for his erudition and excellent communication in English. Since 1990 he has been travelling and teaching Buddhism and Meditation at Universities, Institutes and Buddhist Centers in Europe, USA, Canada, Australia and Asia. 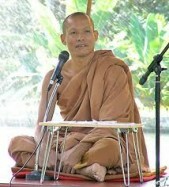 He also participates in various interfaith and Science and Buddhist dialogues. 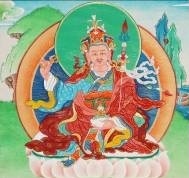 He authored several books on Buddhism as well as some children’s books both in Tibetan and European languages.